Clicking on each image will provide a larger picture and a description. If you are interested in having flowers done from your photo or in purchasing an item, contact me directly. I love beautiful flower gardens, bouquets and wildflowers. 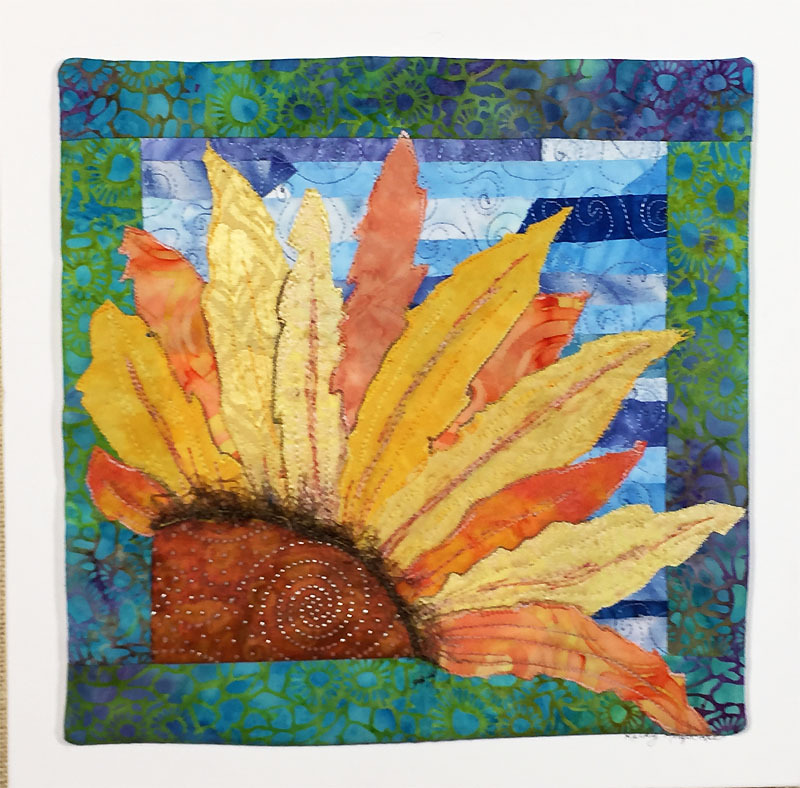 It’s fun to see how they can be interpreted in fabric, thread and other embellishments. 8x8 wrapped canvas $95 From a friend, "You’re giving Georgia O'Keeffe a run for her money with the flower." Wow! Young leaves can be cooked, juices used in jelly and drinks. Used to treat menopause symptoms. Oil calms and relaxes pain. Used in sachets and potpourris. Another example of “upcyclying” a former t-shirt. Wonderful colors and this piece just says “look at me. At Harvest Gold Gallery, Lovell, Maine. 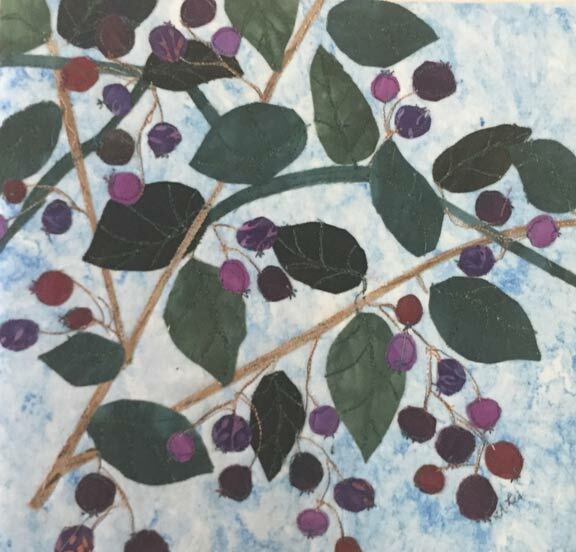 Background is hand-painted using a shibori technique which made the tall flowers appear. 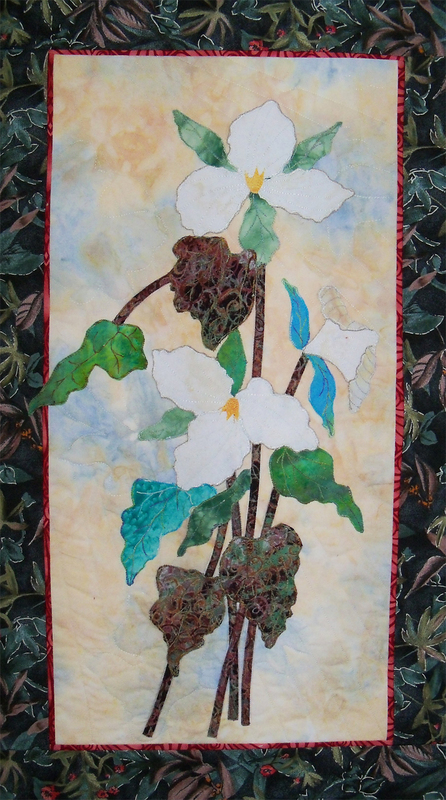 This piece is heavily hand-quilted and beaded. 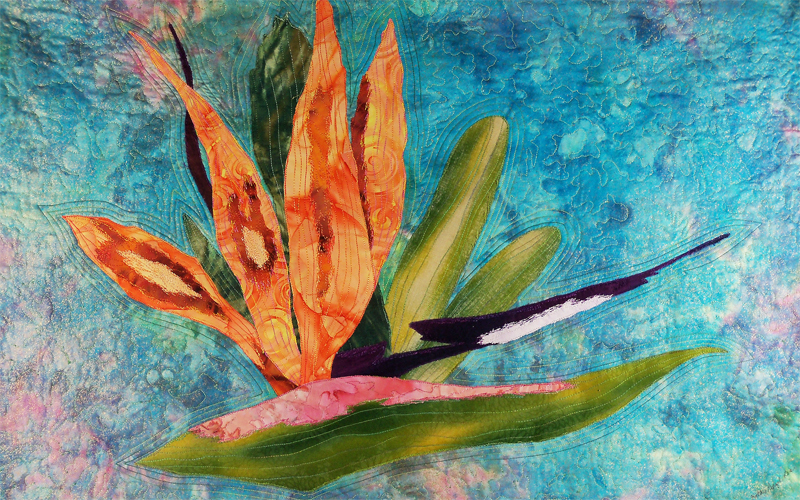 Hand painted iris was enhanced with lots of stitching and then mounted on a hand dyed piece of fabric. Itwas then stretched around an oval canvas frame. 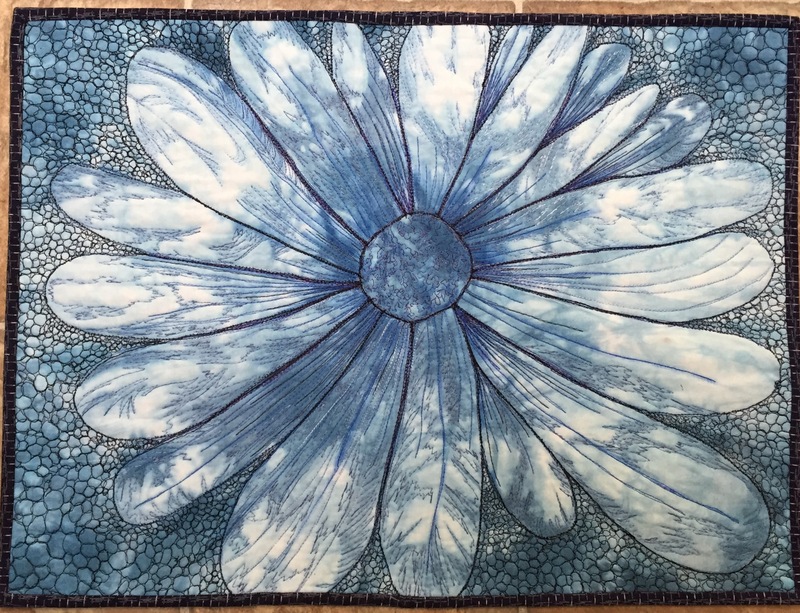 Done in response to a black/white challenge from the Fiberarts Council of California. Color photo had great lights and darks which worked well for this black/white challenge. 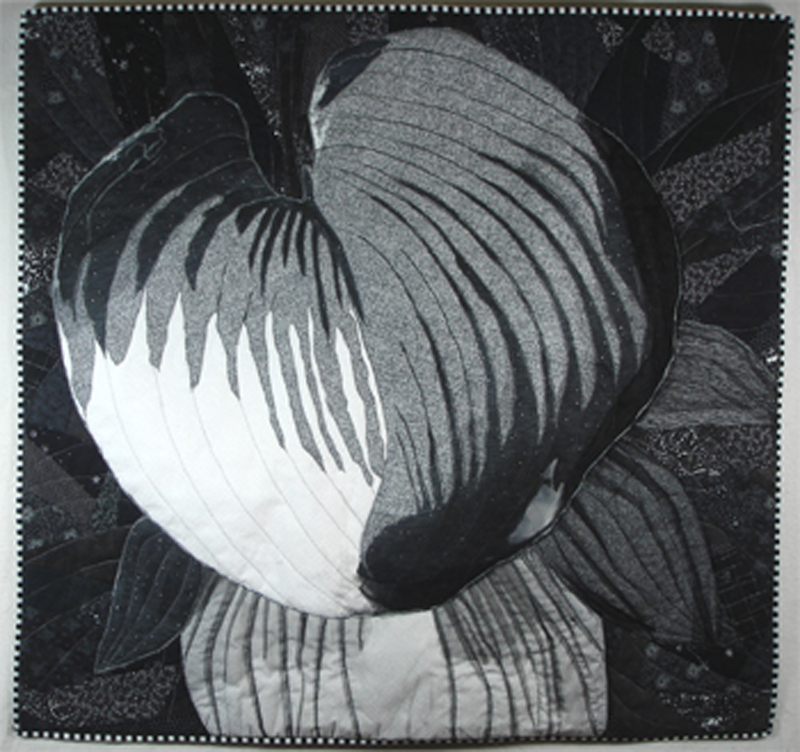 Quilt toured with “My World in Black and White Revisited” during 2009. 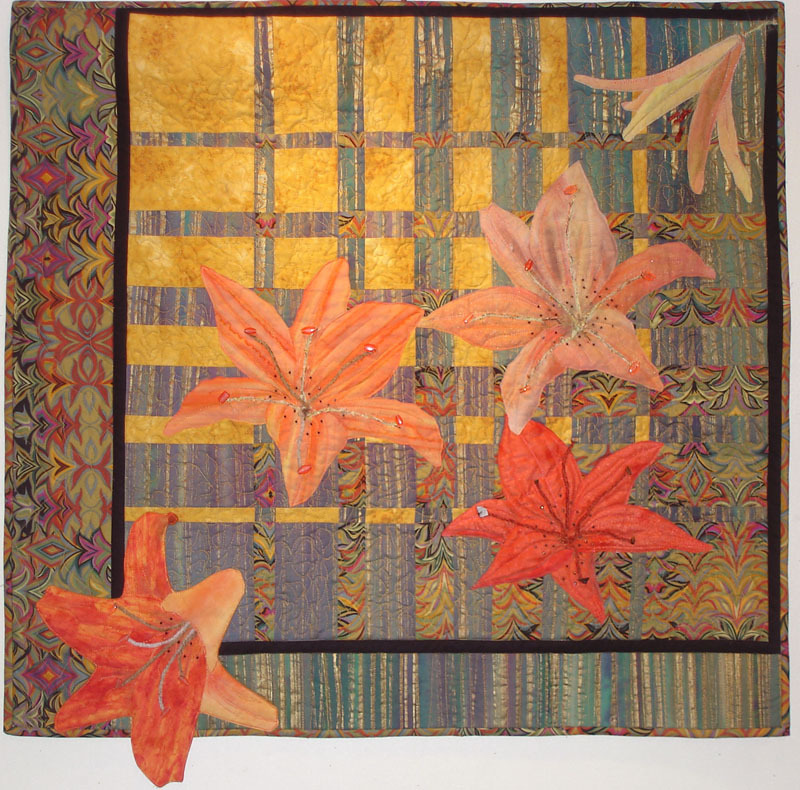 The beautiful lilies are made from hand-dyed/painted fabric. 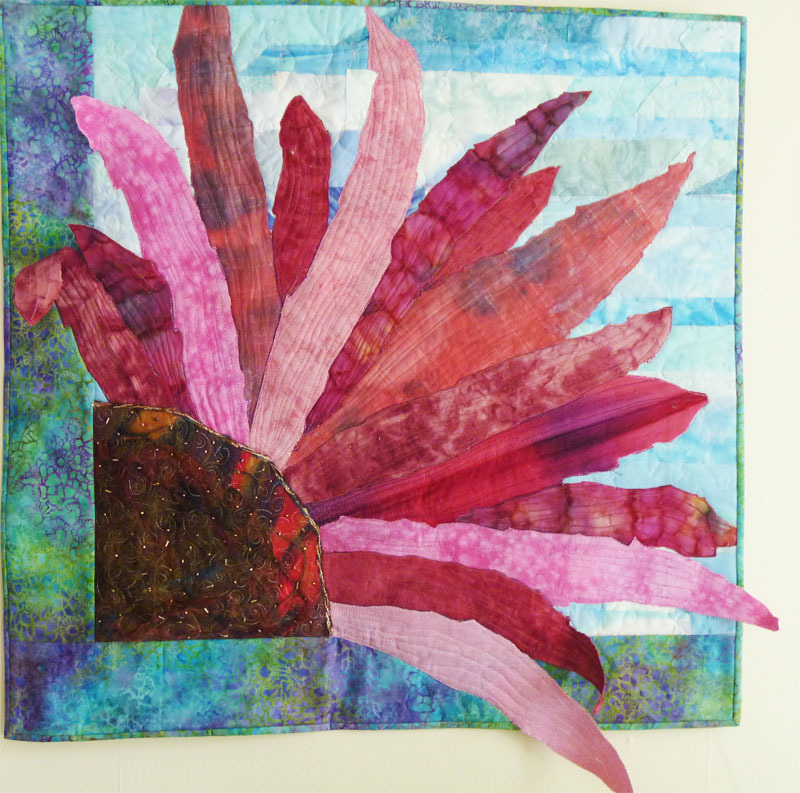 All are embellished with yarn stamens and beads. They are placed on an irregularly pieced background. The final lily is slightly falling off the edge. During 2009 this piece won awards in four different shows and won Third Place at Saco Bay Artists Show in August 2012. 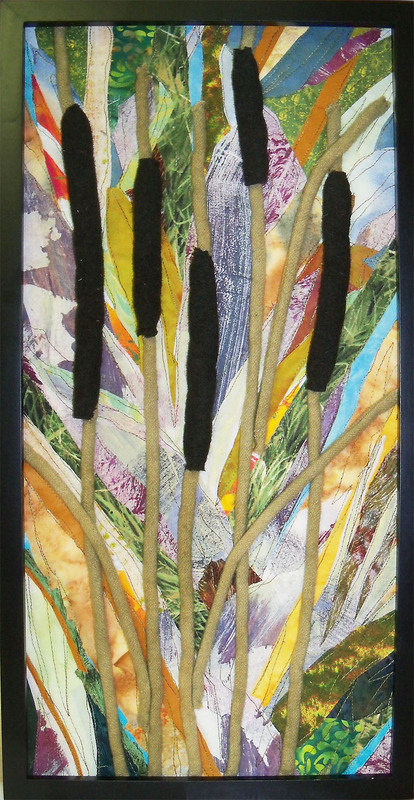 Pieced background with fuzzy cattails... a fall favorite. 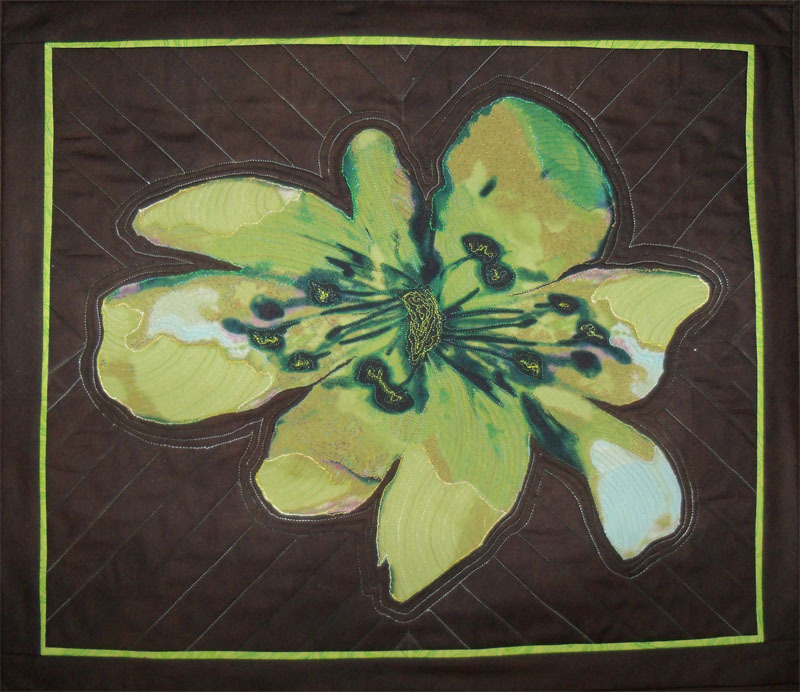 Made of hand-dyed and commercial fabrics and stretched around a canvas.